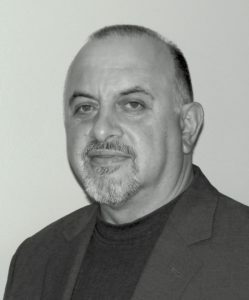 John L. Ricci, PhD, FBSE, holds a Bachelor of Science degree from Muhlenberg College in Allentown, PA, and a doctorate from the University of Medicine and Dentistry of New Jersey in the Department of Anatomy, where he graduated in 1984. He did a post-doctoral fellowship in the Department of Orthopaedics at UMDNJ. From 1986 to 1997 he was on the faculty of New York University and conducted research in the Musculoskeletal Research Center at Hospital for Joint Diseases in New York City where he ran the Philip B. Kimmel Biointerface Laboratory. He then held faculty appointments as an Associate Professor in the Department of Orthopaedics at New Jersey Medical School, and the Department of Restorative Dentistry and Biomaterials at the New Jersey Dental School from 1997 to 2002. He is currently an Associate Professor in the Department of Biomaterials and Biomimetics at New York University College of Dentistry, where he directs the Masters Program in Biomaterials Science. He has held voluntary faculty appointments in the Department of Biomedical Engineering at City College of New York, Department of Biomedical Engineering at Rutgers University, and the Department of Biomedical Engineering at New Jersey Institute of Technology, and was a Visiting Lecturer at Princeton University. He currently holds a voluntary appointment in the Department of Restorative Dentistry and Biomaterials at the Rutgers School of Dental Medicine. Dr. Ricci is an active member of the Society for Biomaterials, the American Association for Dental Research, International Association for Dental Research, and the Academy of Osseointegration. He is also on the editorial boards of the Journal of Biomedical Materials Research (Part B, Applied Biomaterials) and Implant Dentistry, and is a member of OKU. Active areas of research: Cell and tissue response to permanent and resorbable biomaterials and implants. Development of experimental models for the controlled investigation of bone and soft tissue response to biomaterials, and investigating and developing technologies for enhancing tissue repair and regeneration including 3-dimensional printing technologies, and tissue integration of implants. Consultant on many corporate research and product development projects, and one of the founding members of Orthogen LLC, a biotechnology company that has developed bone repair and implant surface technologies for BioLok International and BioHorizons Inc. Dr. Ricci has over 100 major publications, hundreds of abstracts, and many invited lectures in the bioengineering, dental, orthopaedic, and general biomaterials fields.